The dynamic crew of Section 20 are coming to Blu-ray and DVD for an action-packed fifth season featuring a fresh cast, new missions and sky-rocketing intensity. The team behind the hit show “Strike Back,” which is based on a novel of the same name written by Chris Ryan, a former British Special Air Service soldier, has partnered with Military Times to give readers an exclusive behind-the-scenes look at the show and its cast, as well as some complementary copies of season five on Blu-ray and DVD. The fifth season picks up with the same heart-pounding action the show’s viewers have come to know and love. The official plot for the season five is provided below, according to a Cinemax press release. When fanatical terrorist Omair Idrisi escapes from Syrian authorities with plans to launch an unprecedented attack that could change the face of modern warfare, the ensuing manhunt can only be entrusted to counterterrorism’s best and brightest. Enter Section 20 — the elite, multinational, covert special ops team tasked with tracking down Idrisi and his British co-conspirator wife, Jane Lowry. Their action-packed manhunt will take the unit across North Africa, the Middle East and Europe, from glitterati soirees to underworld cage fights, as they uncover and attempt to dismantle a vast global web of interconnected criminal and terrorist activity. New cast members include Warren Brown (“The Dark Knight Rises”), Daniel MacPherson, (“Infini”), Roxanne McKee (HBO’s “Game of Thrones,” “Crossfire”) and Alin Sumarwatta, (“Burning Man”). Sullivan Stapleton (“300: Rise of an Empire,” “Gangster Squad”) returns to the fray as well as he lends his chops to the crew as Sgt. Damien Scott. And M.J. Bassett returns as executive producer and director. TV Guide called the season a “triumphant return,” and the show is certified fresh on Rotten Tomatoes. 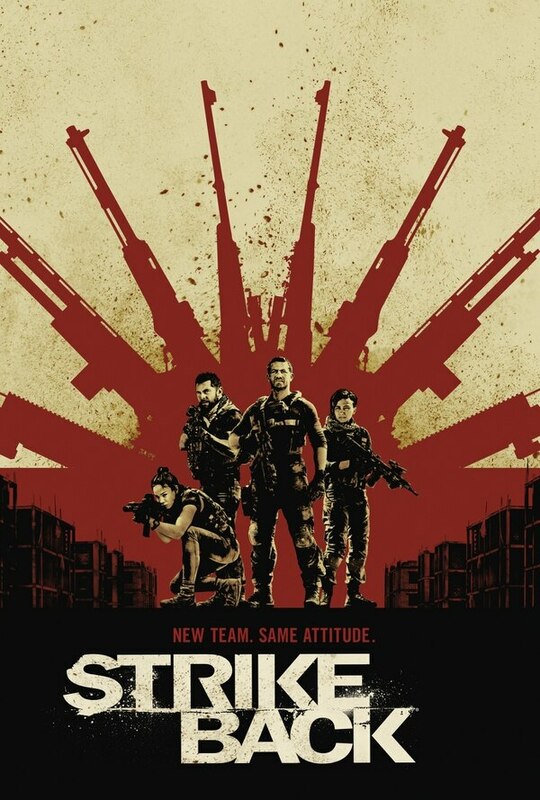 “Strike Back” recently wrapped up its high-flying sixth season on Cinemax.